"You only live once." This line has always been in my mind whenever I visit a place for the first time. 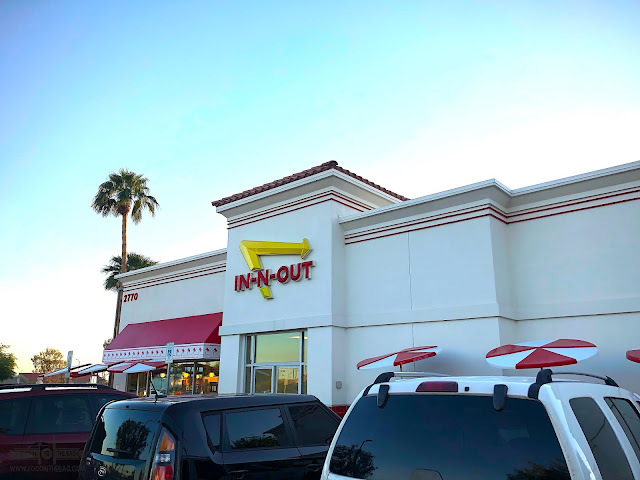 Just like a few days ago, I drove a little over 2 hours just to visit this burger place. 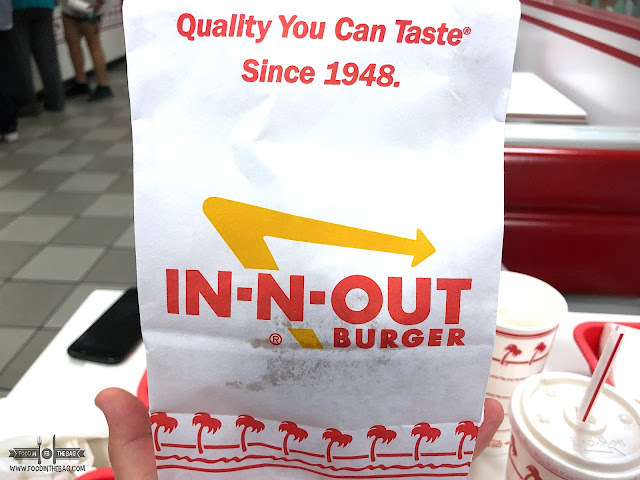 Enter IN-N-OUT. 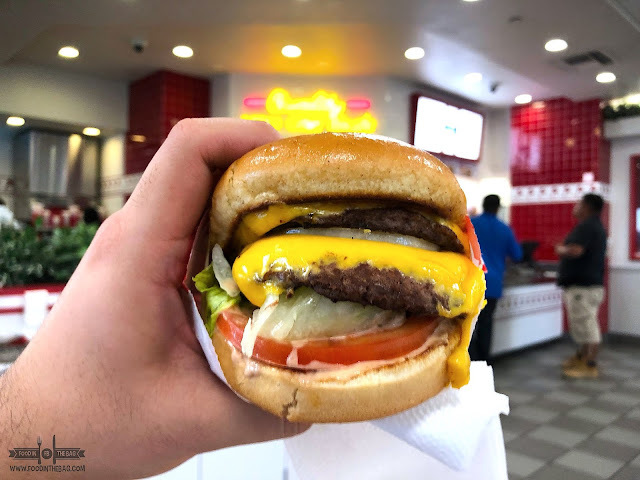 Known for it's delicious yet affordable burgers, this place is a must visit whenever you're in town or out or just a few hours away (like me). 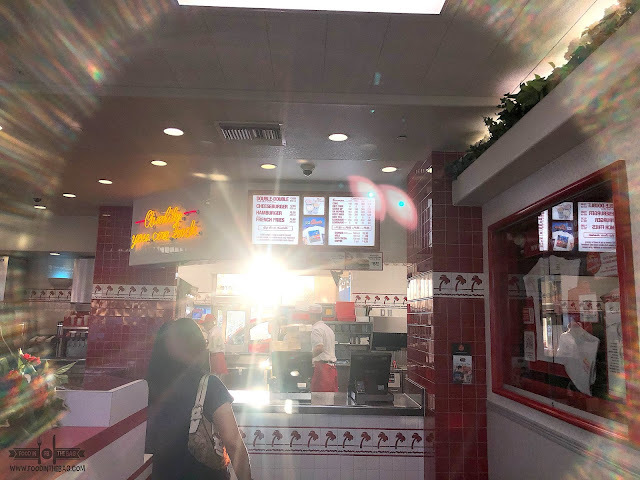 It was sunset hour and when we entered this In-N-Out location, this greeted us. It was just before the dinner rush and we were quite lucky to get seats. The menu is straightforward. 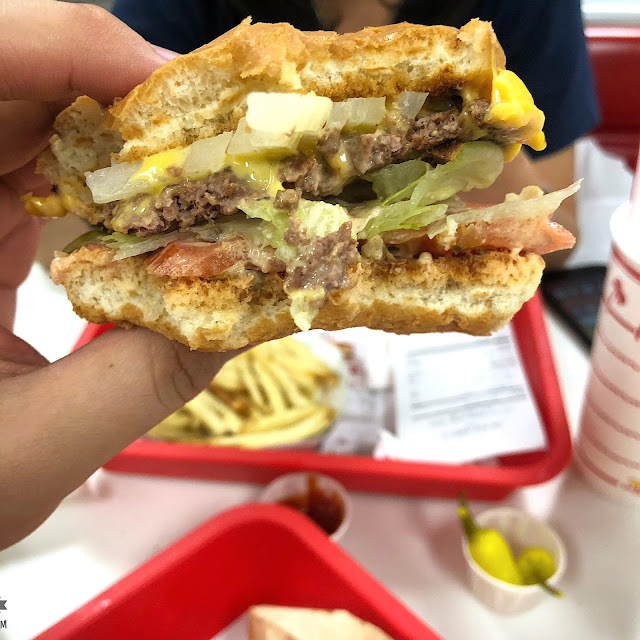 Burger with or without cheese, the number of patties, plus fries, and shakes. 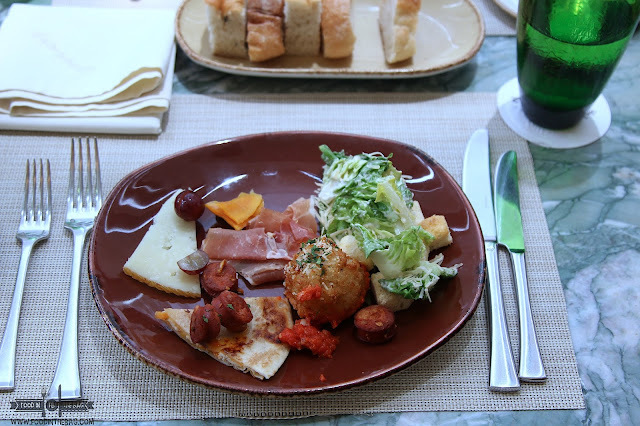 Of course, there is a "secret menu" that you could go for. (GET THE ANIMAL FRIES). 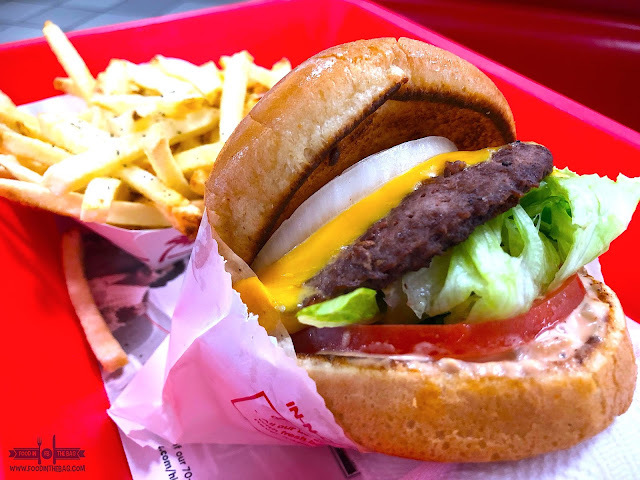 I had IN-N-OUT a few years back and the flavor is still the same. It's quite good. For the price, you can't really complain. I mean, where else can you get a decent burger meal under 10 USD. That night, I started off with a double double. Just because I thought it was enough for me. Unfortunately, IT WASN'T. I mean, I just came from a late lunch and some shopping a few hours ago, but I finished the little sucker in under 5 minutes. Maybe, it was because of the memories and the delicious moans I had with each bite. As any self respecting foodie would do, I ordered another. This time, I just had a cheeseburger and another one to go. This definitely made my day. Maybe next time, I'll just have a 3x3 to get it over with. I mean, the pattie and the bun ratio would be perfect. Plus having those onions added up with some of the peppers would really make a difference. 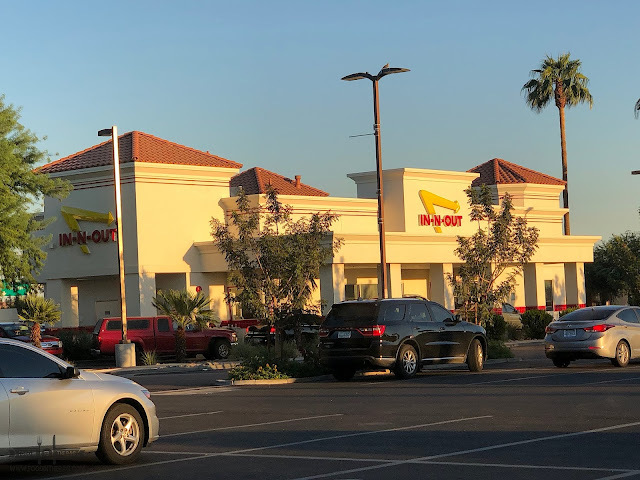 It was the afternoon of September 27, 2018, and I had my burger fill from IN-N-OUT. 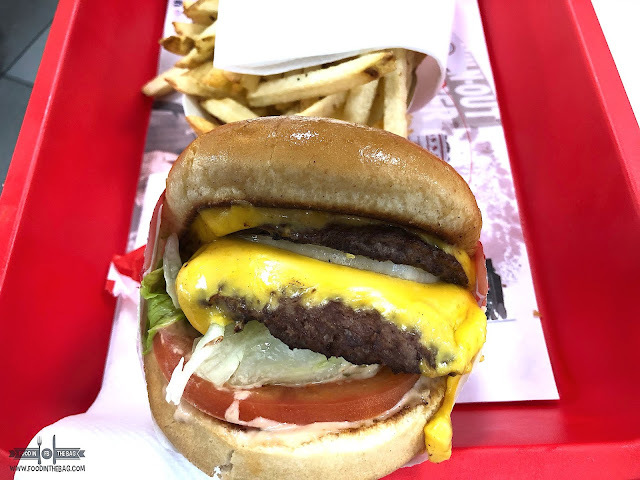 Note to self: Next time, go for the animal fries, neopolitan shake, and a 3x3. Disclaimer: Wrote this based on my experience. Paid for my meal.